Pierre de Varennes is a graduate of the University of Ottawa, where he earned bachelor’s degrees in administration and commerce. Before beginning his career in real estate, he administered the sales of large commercial accounts in Eastern Ontario for IBM. 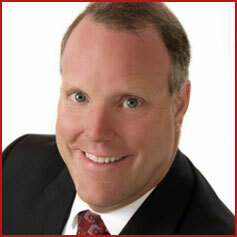 He joined Royal LePage in 1987 and was appointed to Ottawa’s management team in 1993. In 2002, Pierre became Broker of Record / Owner of Royal LePage Performance Realty. Performance Realty’s phenomenal growth and competitive edge reflect Pierre’s visionary wisdom and intrepid business practices. He actively builds relationships that enhance his knowledge of his company and of the world. His unquenchable drive, personal integrity and experience in real estate have been critical to the development and marketing of Royal LePage Performance Realty. As the keeper of the company’s value system, Pierre is passionate about the strategic direction for the organization. Beyond the real estate industry, he is a big supporter of the Cancer Research Society, as well as local women’s shelters.